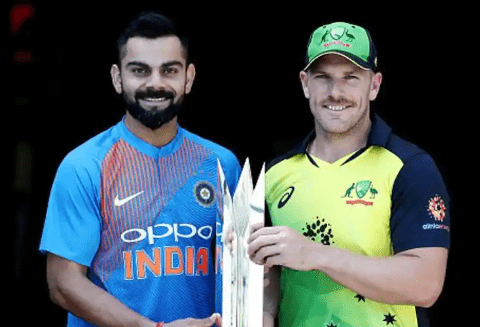 Australia will host India for three T20 Internationals (T20Is), 4 Tests and 3 One-Day Internationals (ODIs) between 21st Nov 2018 and 18th Jan 2019. This is the best Indian team thats touring Australia, also the Australian team is the weakest at present. A lot is expected from the current Indian team, after they lost to South Africa 2-1 and 4-1 to England. India is ranked Number one in Test side in the world. India has been very strong at home, but failed to win abroad. India’s loss to England was a close one, every match went to the wires. The current Indian squad is at the top and fans have a lot of expectations. While India has an advantage as key Australian players would not be playing. The new players in the Australian side have not yet settled in. Many things have been going on in the Australian team after the ball-tampering scandal. For India this would be weakest Australian side its ever playing against. India needs to make use of the conditions and prove that it can also win overseas. If India wins the test series it would be a maiden series win on foreign soil. There is more pressure on India than Australia this time around.